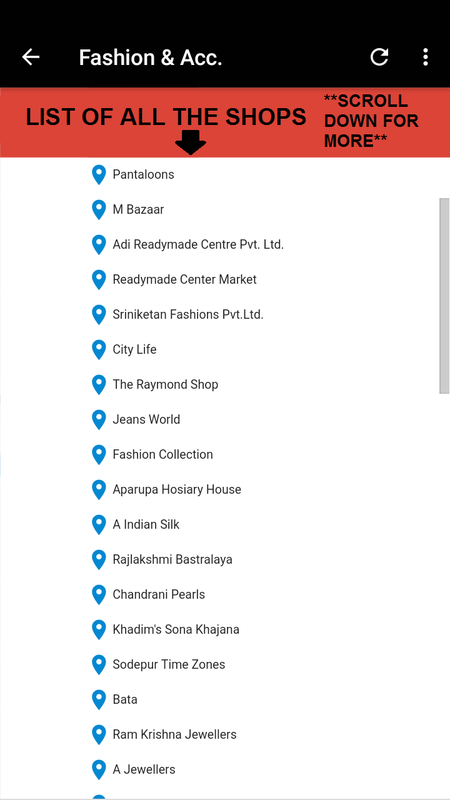 Well, everyone loves shopping, But, what if you don't know about a shop, its location, timings or contact details? May be you want some cash from ATM machine but don't know where one is? You need any? Go for Nearby Sodepur. An app exclusively made for people of Sodepur. This app contains shops in different categories. The shop details are updated continuously to keep you up to date. (All shops doesn't have contact details). To install this app click the Download button below and install it. Tip : Unknown sources must be enabled to install an application in an android device. 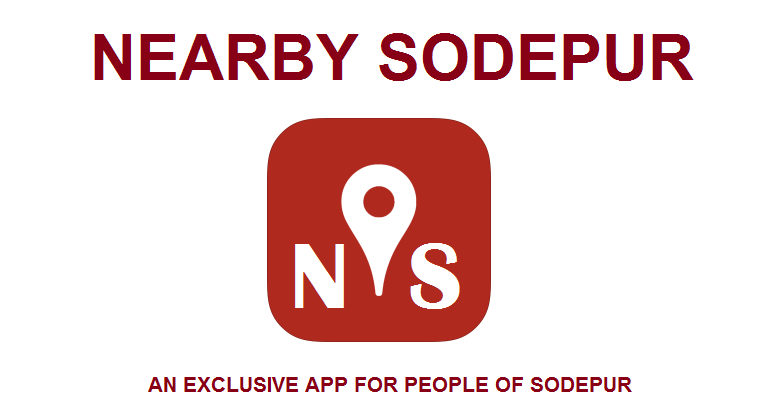 Download Nearby Sodepur from here. Open on the application that just downloaded and install Nearby Sodepur. 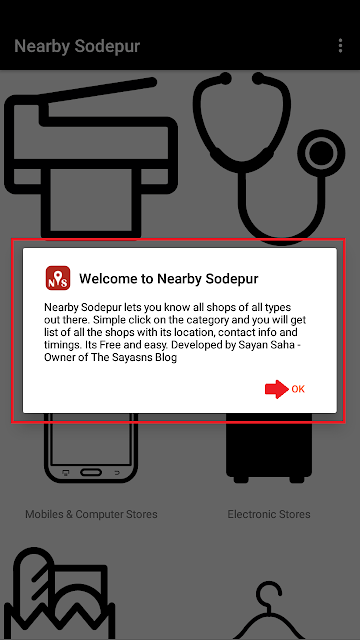 Click on Nearby Sodepur to launch the application. 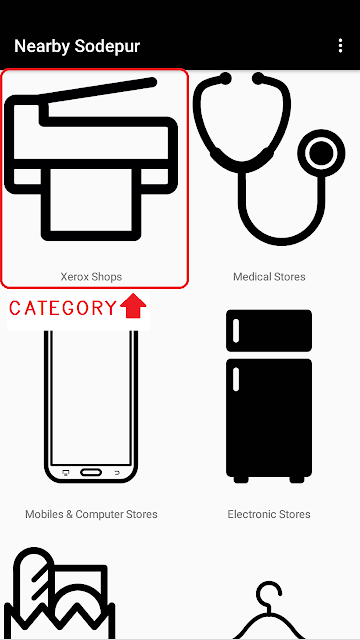 Now click on the category of the shop you want to search. A map will be opened with some blue location pointers. 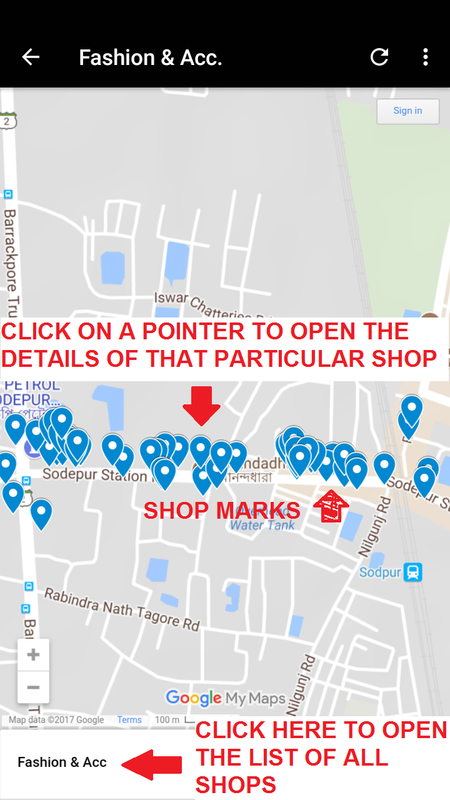 Those pointers are shop locations. 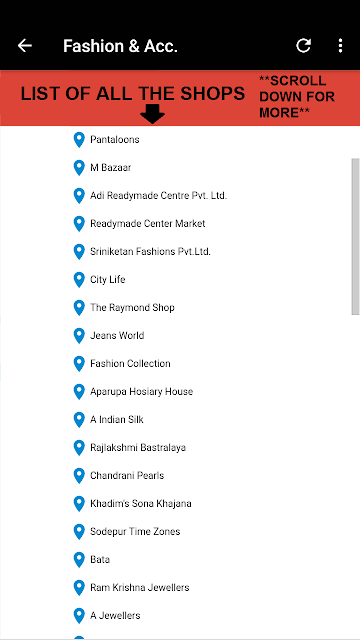 For the list of all the shops click on the category name below. 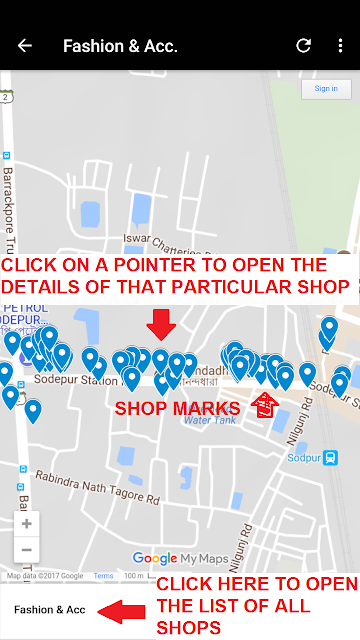 To view a particular shop from the map, click on the pointer and then click on the name below. Note : Refer to the HD screenshots for details.